BRYAN EATON/Staff photo. Claudia Keyian leads the group of toddlers in "Music Rocks" at the Newburyport Rec Center on Tuesday mornings at 9:15 a.m. 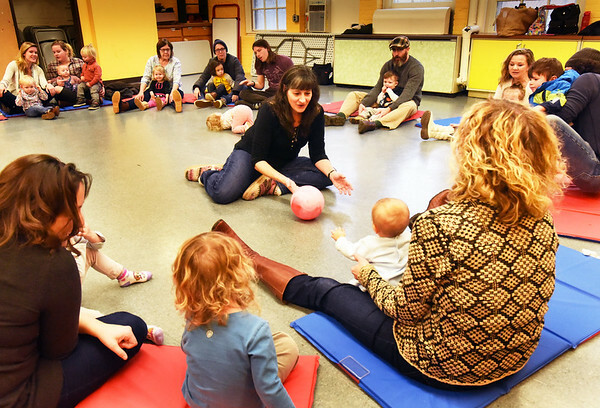 The Department of Newburyport Youth Services also hosts an open gym for pre-schoolers on Tuesday, Wednesday and Fridays at 10:00 in the old Brown School on Milk Street.